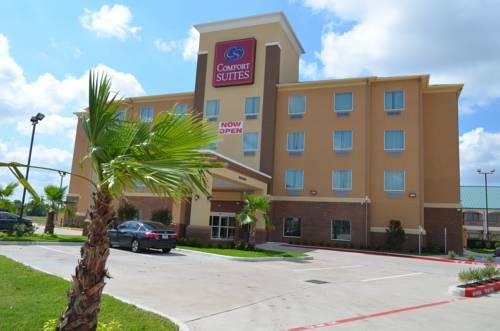 Get more of the space you need to be at your best when you stay at our Comfort Suites Northwest - Cy - Fair hotel in Houston, TX. Our smoke-free hotel offers easy acces to Traders Village, Sam Houston Race Track, Berry Center, Willowbrook Mall and Pridgeon Stadium. Each guest can enjoy our free hot breakfast, free WiFi, fitness center and free weekday newspaper. Unwind in one of our spacious suites, all of which features a flat-screen TV, sofa sleeper, microwave, hair dryer, coffee maker and USB and AC outlets. Join our Choice Privileges program and start earning rewards points with your next stay.